The Buckeye butterfly's eye-like wing spots may serve to intimidate predators. I can be sure it's summer now that I’ve seen two of my favorite butterflies. Considered as a pair, they show two very different survival strategies. One is gaudy, covered by nature with large clown eyes, the other is a very “plain Jane” butterfly. You can see them both on any sunny Summer or Fall day. 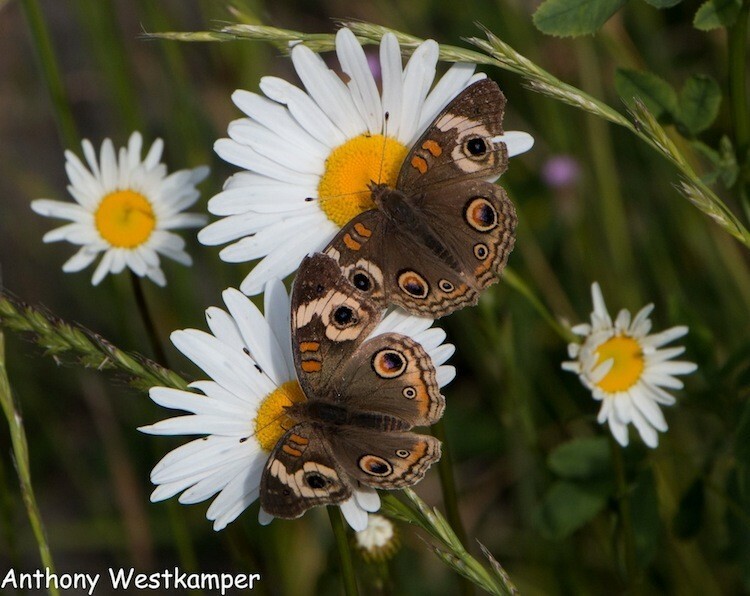 Look for the Buckeye (Junonia coenia ) on Shasta daisies or almost any patch of blooming Himalaya Berries. Their vivid eye spots may serve to protect them from predators, especially birds, by startling them. The size of those eyes is that of a much larger creature, and there are a lot of them! Fortunately, most birds can't count. So, when it comes to eyes, I guess bigger and more is better. 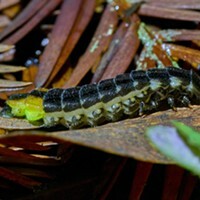 This species does not hide, but patrols and displays its vivid markings wherever it lands. 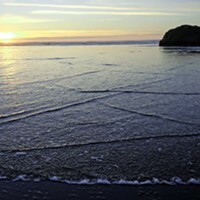 It is common throughout North America. At the other end of the spectrum is the least obtrusive butterfly I know, the California Ringlet, Coenonympha tullia california. The upper side is a cream or sand color, which matches the tall dry grass where it usually hides. Every live photo I've seen of this small butterfly has its wings closed, showing their pale gray brown underside. Unlike the buckeye, its survival strategy seems to be camouflage rather than intimidation. 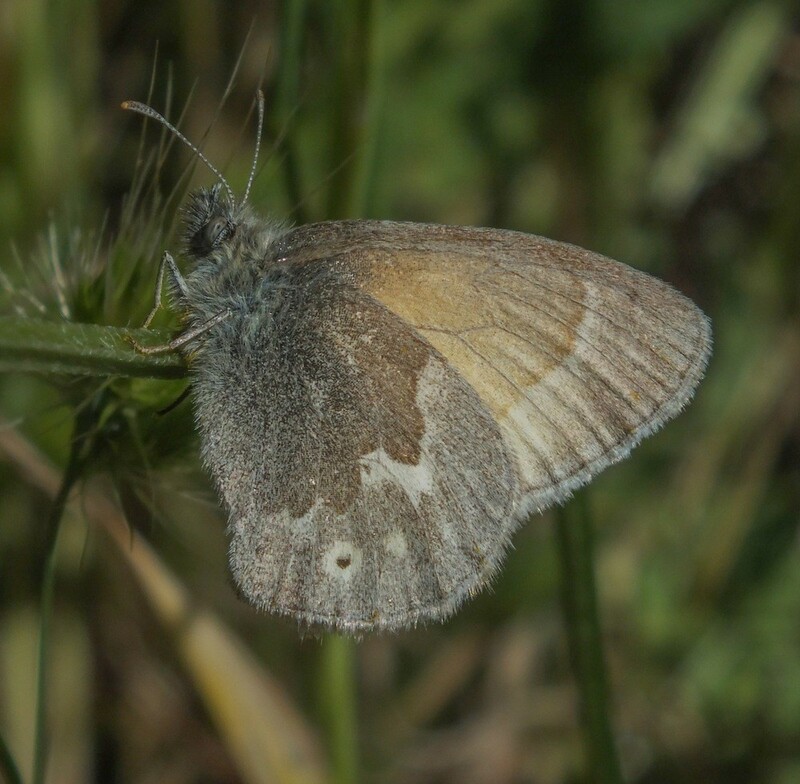 The species Coenonympha tullia is a widespread species throughout the northern hemisphere. The california appellation indicates our local subspecies. When I posted a photo from my back yard of the Ringlet on an entomological Facebook page, a fellow from Scotland posted one from there, which was indistinguishable from our locals. Both are members of the family Nymphalidae so presumably had a common ancestor not too far back on the evolutionary tree. But they have obviously taken very different paths to success. Camouflage is the California Ringlet's primary defense.